Before you continue read this post on usage terms and printer settings of this free data. These patterns have been cut especially to fit the Smart Doll body contour. The Women's T-shirt pattern is actually the one we use for the Ballerina V-Neck T-shirt. 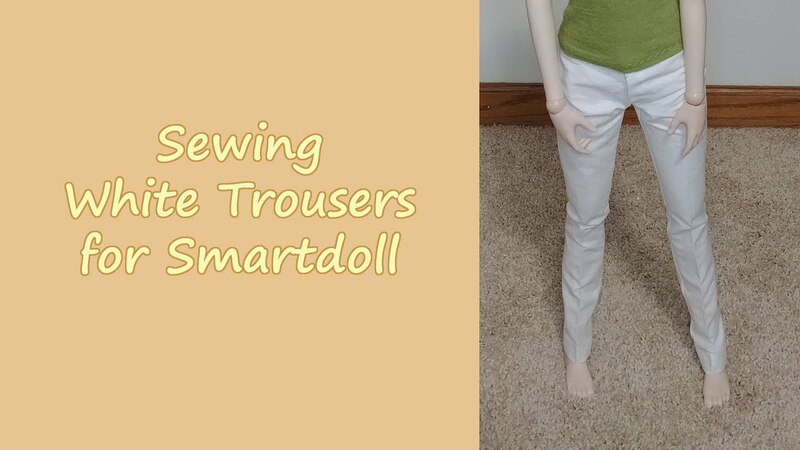 The Women's Trousers pattern is a slightly lower hip cut for the Corduroy Pants. As for the Men's patterns - the T-shirt pattern is the same we use for the Men's Tee, and the Men's Trousers pattern is similar to Lelouch's pants (but not the same). (What is this?) Add your unboxing video!